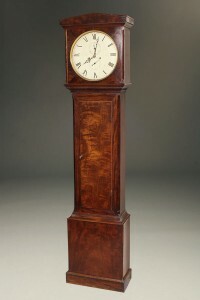 Antique mahogany tall case clock made by Colonial Clock Co.Antique mahogany tall case clock made by Colonial Clock Co. 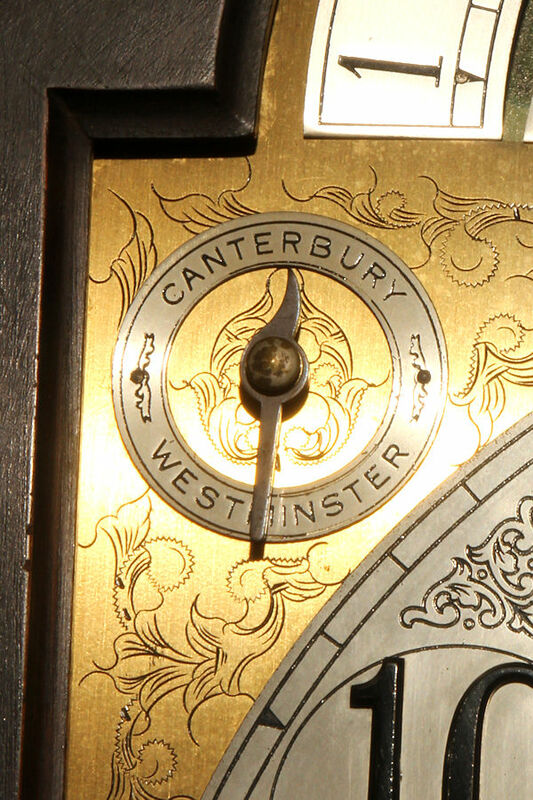 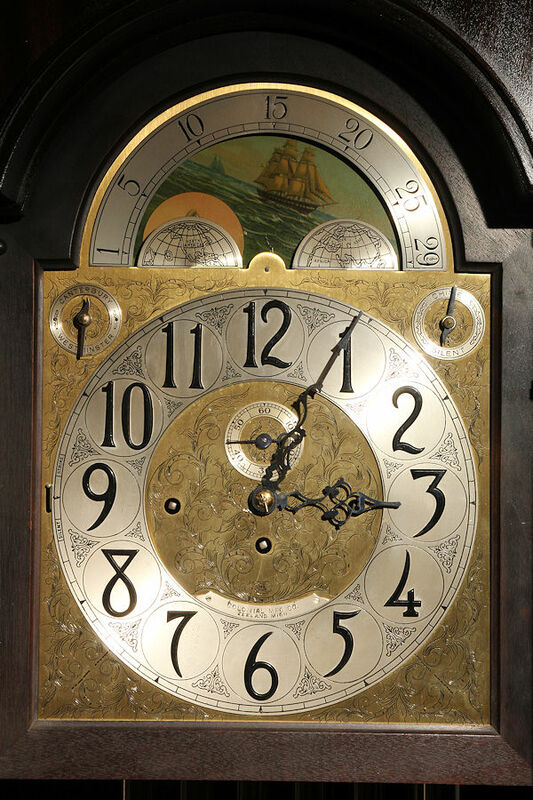 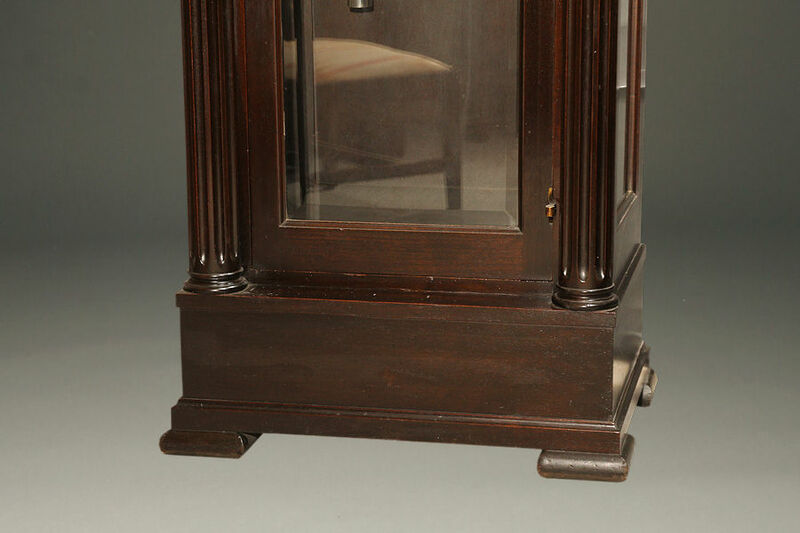 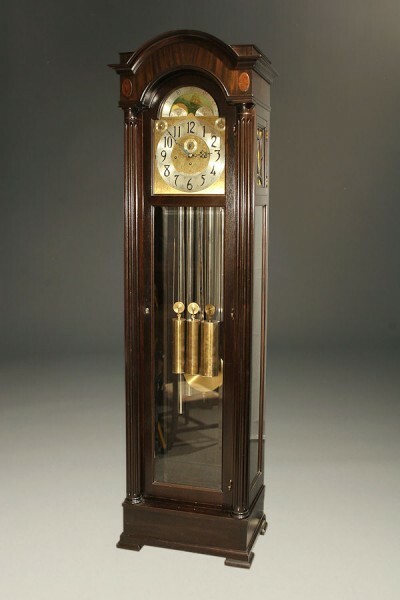 Antique mahogany Colonial tall case clock with Herschede movement that chimes the Westminster and Canterbury on 7 tubes, circa 1900. 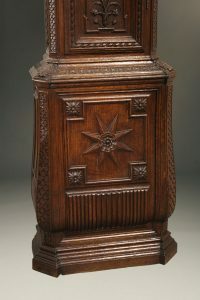 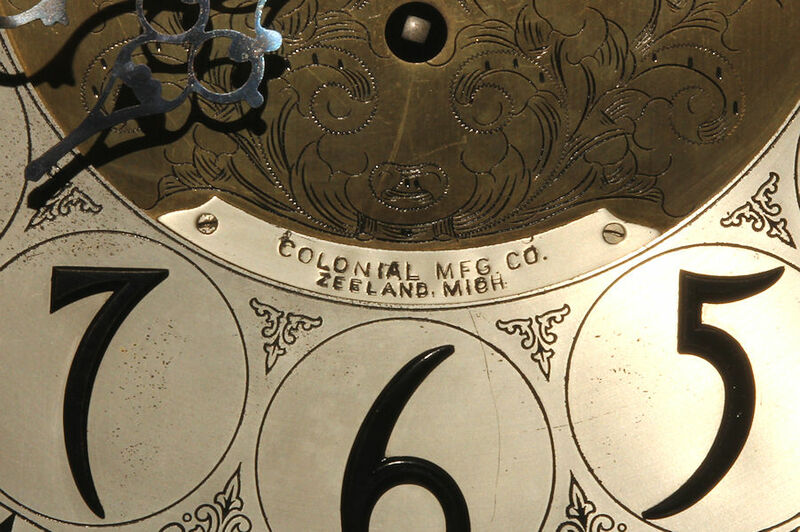 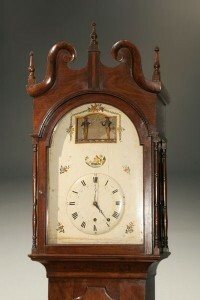 Early 19th century German tall case organ clock. 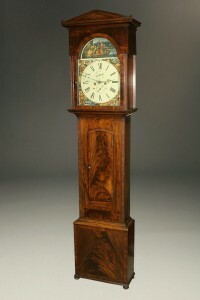 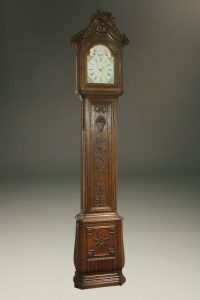 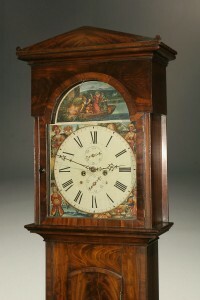 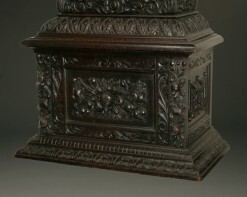 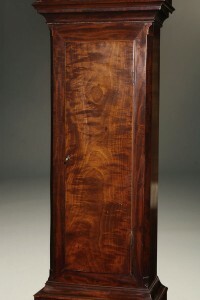 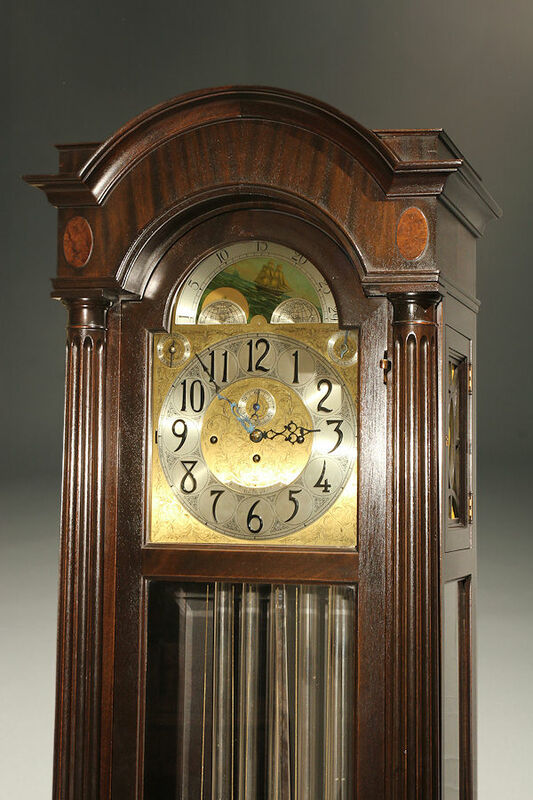 Scottish tall case clock in mahogany.